For Judith's 3 DAY FREMANTLE WORKSHOP 2019 please call Rachel on 0428 254 529 or email to request more information. 2019 Kimberley Itinerary COMING SOON! This is our 4th Kimberley Workshop with Judith. The workshop is 9 days with about 5 days of tuition in the bush studio and field locations. Includes a 2 night camp out and activities. If you have spent your early morning flying or driving into Kununurra, we’ll meet you mid morning, at the airport*. If you arrived the day before, we’ll pick you up mid morning, from your accommodation. We’ll go for lunch at a café+in Kununurra before driving to the remote station, Digger’s Rest - our base for the week. On arrival we’ll get you settled in, be it your own Kimberley style bush hut or shared air-conditioned, bunkhouse room and have a short orientation. You’ll meet the owners, Alida and Roderick and their staff and enjoy dinner by the fire or on the stone-house verandahs. Unlike other mornings, there’s no early start to today’s activities but we encourage you to rise early, perhaps taking a walk down to the windmill, so as not to miss early wildlife or the morning colour show on the Cockburn Range. After breakfast (usually cooked options, cereals and fruit) it’s time to break out the sketchbooks as Judith leads the first art session and demonstrates some techniques. It’s an easy walk of a couple of hundred metres. Good walking shoes are recommended. About morning tea time we move to the shade of the verandahs and continue in the Bush Studio until lunch. Mid afternoon we head out to a marsh area via some bird watching, optional sketching and photographing to enjoy complimentary champagne and be officially welcomed by a Kimberley sunset! Then it’s back to the station for dinner, and music (or bring your poetry!) around the fire. We meet early at the stone-house for a billy tea then it’s a short drive to the art location. We go back to the station for breakfast and mid morning, head up the valley for art beneath the gum trees, fishing and billabong swimming with a picnic lunch. We are lucky to have access to this rarely visited, mostly wild, place. After sunset, on the drive back to the station, be on the look out for night jars, curlews, dingoes. NOTE: Pack tonight for tomorrow’s camp out – pack for art sessions, swim, hikes, a day in town with lunch at a café++ and cool eveningsaround the campfire. Camping gearprovided includes a tent, swag mattress, linen, blanket and chair. After breakfast we leave for a 2 night camp at the aboriginal community. A day of art, swimming, hikes, stargazing (and navel gazing) around the campfire. At camp - A day of art, swimming, hikes, evenings around the campfire. At camp - After breakfast & packing up, we visit Marlgu Bird Sanctuary (Parry Lagoons) followed by lunch++ at The Rusty Shed Café in the old port. After lunch a short drive brings us to the world class lookout, Five Rivers, which sits on the Bastion above Wyndham Port. We meander back to the station via the cave art, a water lily lagoon art session at Moochalabra Creek. Then ‘home’ to Digger’s for dinner. We have all day in the studio for uninterrupted work on your art (and catch up on laundry). Prepare for the informal exhibition and tonight’s party - dress in Kimberley colours - to finish off our time together in Kimberley style. Enjoy a leisurely morning and mid morning we say our goodbyes and head into Kununurra to meet your afternoon*flights. ^The itinerary may vary due to weather, road access, time constraints, station priorities, situations out of our control, and safety. + This café meal is at the guest’s expense. ++ This café meal is at On The Verandah’s expense. * Please select a flight that arrives in Kununurra before midday on Day 1. On Day 9 select a flight that leaves Kununurra aftermidday. We’ll pick you up from Kununurra Airport or from your Kununurra accommodation mid- morning. First stop is a local café for lunch before travelling for to our base for the week - a remote cattle station called Digger’s Rest Station. On arrival we’ll get you settled in, be it your own Kimberley style bush hut or shared air-conditioned, bunkhouse room. 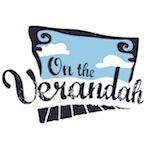 You’ll meet the owners, Alida and Roderick and enjoy dinner around the fire or on the verandahs. We meet up early for a billy tea followed by a short drive to our first art session with Judith. Judith will introduce the site and the exercises through demonstrations and discussion. At the end of the session we head back for breakfast with cooked options, cereals and fruit. ​The middle of the day may be hot, so we’ll use the time to work at tables on the verandahs of the “bush studio”. Typical lunches are cold meats, fresh salads, homemade pizzas, wraps and the like. We’ll break mid afternoon to make the short trip to the sunset spot for nibbles, complimentary champagne and a Kimberley sunset before heading back for dinner and music around the fire. Today we drive to a small and special Aboriginal community for landscape and scenery of a slightly different kind. If we are lucky there will be someone to tell us a bit about life in the community. There is crocodile-safe swimming both here and at a second waterhole we plan to visit. No early start this morning so you can enjoy dawn, the views and wildlife from your bush hut or from the bunkhouse verandahs. After breakfast there will be a solid session in the bush studio to work up ideas while Andrew and Rachel prepare the vehicles for the two night camp. After lunch we drive to our private camp site on the billabong and set up camp. Judith may set art exercises or wander with you around the billabong and camp. In the evening we’ll enjoy campfire cooking, tall tales and music around the campfire. Keen photographers - bring your lightweight tripods for milky way shots and fun with light painting. We have all day to absorb the immense scenery of the camp and we begin by setting off just before dawn on a headlamp hike to a nearby ridge. The area around the billabong has a special mystical dimension that is difficult to describe - we are incredibly lucky to have access to this rarely visited, mostly wild place. Judith has several exercises planned specifically for this area so the day will be a real art immersion. Enjoy another art session and barramundi fishing in the morning before we pack camp and head back to Digger’s Rest via the historic Prison Boab Tree. After lunch you have the rest of the day free to relax, catch up on laundry if needed, schedule a horse ride (experienced riders only) or keep working on your art if you like. We begin the day with an early breakfast then drive to our morning art session beside a waterhole. We view a gallery of aboriginal rock art and have a quick crocodile spotting session on the river. After lunch, continue with your pieces in the bush studio with Judith and mid afternoon we’ll explore along the Karunjie Track to experience the bizarre sensation of the moonscape that is the marsh before returning to the station after sunset. We have all day in the studio today for uninterrupted work on your pieces and to prepare for our informal exhibition and party with Digger’s Rest owners and staff. More music around the fire to finish off our time together in Kimberley style. After breakfast we say our goodbyes and head into Kununurra to get to your afternoon** flights in plenty of time. We’ll stop along the way at a bird sanctuary near Parry Lagoons and hopefully get some wildlife surprises. We’ll have lunch at Parry’s Creek Farm and if there’s time you can wander through either Artopia, Artlandish or Warringarri Arts - Kununurra’s three top art galleries. Today is a free day! Spend the day relaxing, or in the studio, share a taxi with other guests and head to Assisi - visit Rocco Maggiore Castle, browse the shops or book a massage at the historic Nun Spa and soak in their luxurious hot baths. Further afield are the towns of Orvieto, Gubbio, the paper museum in Fabriano and the pottery in Deruta. Option to visit the Assisi markets early then spend our last afternoon in the studio selecting your favourite ‘in progress’ pieces for tonight's informal exhibition and party. These itineraries are provided as a guide only and we reserve the right to make alterations to optimize your experience and to prioritise safety.